Taliban fighters stormed a provincial capital in Afghanistan before dawn on Friday, exchanging fire with security forces and reportedly leaving several dead. 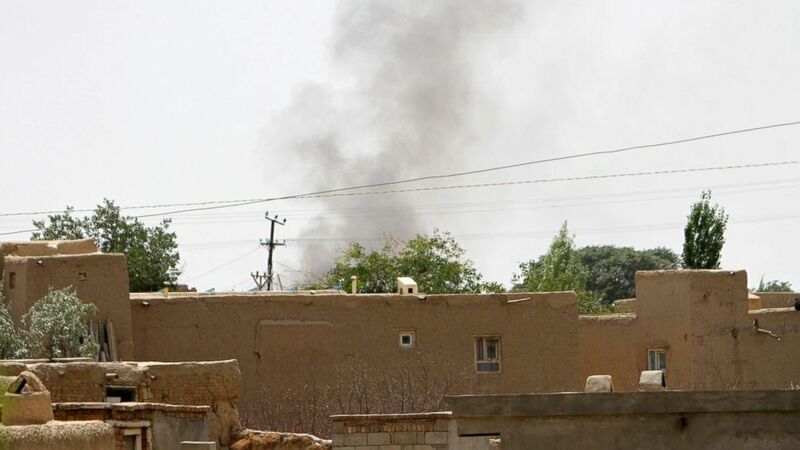 The insurgents entered the southeastern city of Ghazni overnight, reportedly hiding inside homes before launching the brazen attack in the early morning hours. The city is strategically located along the main route between southern Afghanistan and the country's capital, Kabul. Baz Mohammad Hemat, the administrator of the city hospital, told The Associated Press that at least 14 police officers were killed and 20 members of the security forces were wounded before the militants were pushed back. U.S. Forces-Afghanistan, which oversees American troops in the country, confirmed the attack via Twitter, calling it a "failed attempt" to capture territory. U.S. forces "responded with close-air support" in Ghazni while Afghan security forces "held their ground" and maintained control of all government buildings. "Another failed attempt by Taliban to seize terrain, while creating strategically inconsequential headlines," U.S. Forces-Afghanistan tweeted. The Taliban emerged out of the Afghan Civil War and took control of the country in the early 1990s, enforcing its strict interpretation of Sharia, or Islamic law. The Taliban regime ruled over some 90 percent of Afghanistan until late 2001, when the United States invaded the country to overthrow the Taliban and dismantle al-Qaeda after the Sept. 11 terrorist attacks. The insurgents retreated across Afghanistan's porous border into neighboring Pakistan, where they have since regrouped. The U.S.-led combat mission, known as Operation Enduring Freedom, lasted until late 2014. But thousands of American troops remain in Afghanistan to support the country's military that is now faced with a Taliban resurgence.